Foreign direct investment (FDI) pledges to Vietnam over the first two months of 2018 dropped by 1.8 per cent year on year to US$3.34 billion but disbursements rose by 9.7 per cent to US$1.7 billion, as per official data as of February 20. Manufacturing remained the most attractive sector to foreign investors, receiving commitments of US$1.83 billion, and accounting for more than half of total pledges. The construction sector received the second largest chunk of FDI with US$345.4 million, followed the by the property sector with US$312.1 million. Among the 60 countries and territories investing in Vietnam in early 2018, the Republic of Korea came out on top with US$851.2 million, or a quarter of total capital, followed by the British Virgin Islands and Singapore with US$450 million and US$418.5 million respectively. 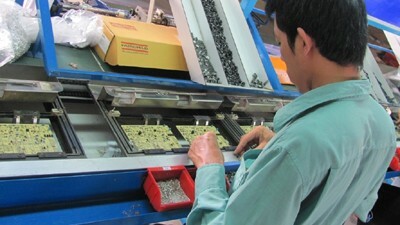 Vietnam’s economic hub Ho Chi Minh City was the largest recipient of FDI during the period with US$1.1 billion, while the neighbouring province of Binh Duong received US$434 million to take second place. The third largest recipient of FDI was the south central coastal province of Ninh Thuan, thanks to a US$150 million wind farm project funded by Singapore. During the January-February period, exports by the foreign-invested sector reached nearly US$24 billion, with oil revenues accounting for 71.3 per cent of Vietnam’s total export turnover. The sector also imported goods worth US$19.2 billion, meaning it ran a trade surplus of US$4.8 billion for the first two months of 2018.